Roasters, you pay careful attention to the quality of your green beans, cupping multiple samples. You then identify the ideal roast profile for them, trying several options to discover how to best bring out the coffee’s flavors. But what if you do all that and then your roasted coffee storage system lets you down? Or you aren’t able to shift the coffee as quickly as you had planned, meaning it goes stale while still in your roastery? Your roasted coffee is vulnerable to multiple elements: light, heat, moisture, and most of all, oxygen. Good storage should maintain the coffee’s freshness, preserving its characteristics for as long as possible, so that your customers get to enjoy it at its best. 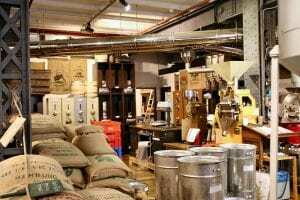 So, let’s take a look at the traditional best practices and the latest studies into roasted coffee storage. Why Is Storage So Important? Green coffee has a shelf life of up to a year. 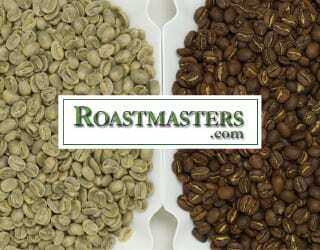 Roasted coffee, on the other hand, is notorious for fading after weeks or even days. But why? Show unroasted, green coffee to a regular person on the street, and I wouldn’t be surprised if they didn’t recognize it as coffee. Steel gray in color, it has none of the aromatic attributes of coffee that we picture, but instead those of vegetables, such as dried peppers. It is the roasting process that develops the flavors and aromatic notes that we often associate coffee with – be they chocolate, caramel, or floral ones. But as the coffee beans transform sensorially, their chemical composition changes too. One of the most important transformations is the breakdown of sugars to form various compounds, including carbon dioxide. This carbon dioxide, trapped inside the coffee beans, gradually leaches out after roasting in a process called degassing. A little bit of degassing is a good thing, especially when pulling espresso shots. If there is too much carbon dioxide in the beans during brewing, the release of these will disrupt the immersion of the coffee grounds into the water and so hinder extraction. However, as the coffee loses carbon dioxide, it also starts to taste dull. In The World Atlas of Coffee, James Hoffman states that two changes happen when coffee goes stale. 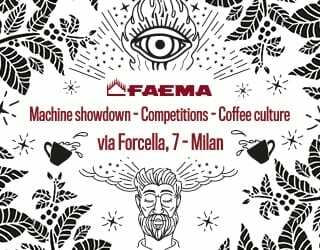 “The first is the slow but steady loss of aromatic compounds, the compounds that give coffee its flavor and smell,” in turn making it “less interesting.” This is inevitable, although we can try to delay the process. The second change, however, is due to oxygen and moisture. The contact with oxygen and moisture will cause coffee to become stale and develop new flavors – ones that are “flat, woody and vaguely of cardboard.” This is more controllable since we can prevent oxygen and moisture from being in contact with coffee beans. In other words, roasted coffee is even more vulnerable – compared to green coffee – to oxygen and moisture. This makes its storage just as important, if not more so. When delivering coffee to customers, many roasters turn to opaque, sealed, foil packages to prevent light, oxygen, and moisture affecting the roasted coffee. These packages often also have a valve to let carbon dioxide escape, so as to facilitate initial degassing. Some roasters prefer to store beans in resealable packages, such as those that have zip-locks. This allows baristas and brewers to reseal the bag after each use – ensuring minimum contact with oxygen. Others use unsealed craft bags. While they can be eco-friendlier (depending on the exact packaging type) and are often more affordable, they cannot effectively keep out the oxygen. As such, beans stored in these bags go stale relatively quickly. In addition to the right container, roasters and brewers must also consider where the coffee is stored. Even opaque, resealable, foil bags cannot block out high temperatures. A cool, dark cupboard or storeroom is often the best option. Among home brewers, coffee canisters are growing in popularity. Airtight and/or vacuum-sealed ones will keep oxygen and moisture out; there are also some that are heat-resistant. Additionally, stainless steel ones are better than plastic ones, not only because they are harder to damage but also because the material is less porous. However, most brewer-targeted coffee canisters only store a small amount of beans, making them a better option for home use than for coffee shops. Before sending their coffee out to customers, roasters will also sometimes store their coffee in commercial-sized canisters, although the quality of the container will vary. And of course, being sizeable and heavy, these are neither easy to move out of the way when not needed nor a viable replacement for roasted coffee bags. These options offer varying levels of protection, but one thing remains constant: the roasted coffee will quickly lose quality, becoming stale in weeks or days. Green coffee is stored in jute bags on the left while roasted coffee is stored in tin canisters on the right. Although roasted coffee is more vulnerable than green beans, the elements that it needs to be protected against are the same: light, heat, moisture, and oxygen. With green coffee, hermetic or airtight packaging is often used to guard against moisture, oxygen, and insects. So, Charlie Habegger and Carly Ahlenius from the Green Coffee Department of Blue Bottle Coffee, in partnership with GrainPro, set out to test the impact of using hermetic packaging for the long-term storage of green and roasted coffee. GrainPro is known within the industry for its hermetic packaging solutions for green coffee, as well as other agricultural products such as corn and rice. 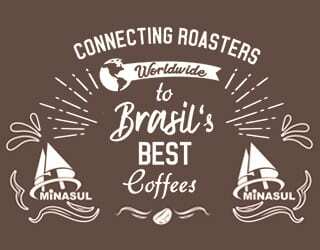 However, the company aims to provide solutions to numerous problems faced by producers, handlers, and roasters, from tarpaulin patios for hygienically drying coffee to liners for use when transporting coffee inside trucks. 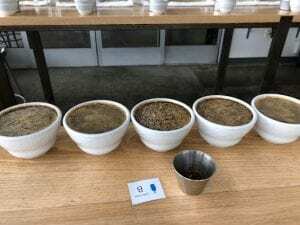 The coffee quality was analyzed according to SCA cupping protocols. With the compostable paper bag, the cupping scores dropped from 86 to 79 over the five months. It dropped by the first three points between May and June 2018, then again by 1.75 points between June and July, then gradually fell to the final score of 79 in September 2018. The notes changed from a cool, sweet, black tea, brown butter, and cocoa to baggy and gamey by July, and finally to dull acids and a flat and hollow sweetness at the end of the experiment. When it was stored in the Ultra-Hermetic bag but opened once a month, the score dropped from 86 in May to 80.88 in September 2018. Its flavor notes changed from caramel sweetness, dried strawberry, and lemon drops to apricot and apple with a note of overripe fruit by July, then to a flat, bitter, cloying, and malty finish in September. Lastly, for the closed GrainPro bag, the score dropped from 86 to 82.88. In May 2018, the samples had flavor notes of apricot, floral aromas, and mandarin orange, with a cereal finish and a slight vegetal note. 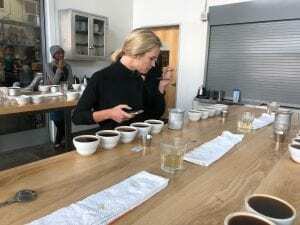 In September 2018, the coffee had a tone of brown sugar, mild stone fruit, and chocolate, with a papery finish. Five months is far longer than specialty roasted coffee should be stored. However, it’s evident that changing the packaging can greatly prolong the beans’ shelf life. 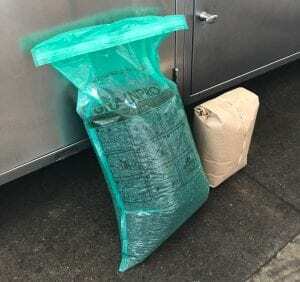 Hermetic bags, for example, may not currently be the standard storage method for roasted coffee but they do offer protection against the moisture and oxygen that develop those flat, stale, woody, and cardboard notes. So, what is the best way to store roasted coffee? Away from moisture, light, heat, and oxygen. Ultra-hermetic bags are a good way to increase shelf life and slow down the fading of specialty beans (especially over the long-term). 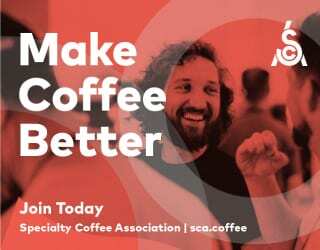 Solutions like this could add flexibility for third wave roasters, particularly for small businesses that may not be able to count on consistent orders week-by-week. And regardless of the chosen packaging, some things remain clear: allow the coffee time to degas. After that, seal it. Open the bags as infrequently as possible. Keep them in a cool, dry place. And to ensure your customers taste the coffee at its best, consider sharing these tips with them, too. Found this interesting? Check out Roaster Guide: Why Is Green Bean Moisture Content Important? Please note: This article has been sponsored by GrainPro.